Most of the year the ferry takes the direct route from Phuket town past Koh Maiton to the south, straight to the gap between Phi Phi Ley and Phi Phi Don Village . 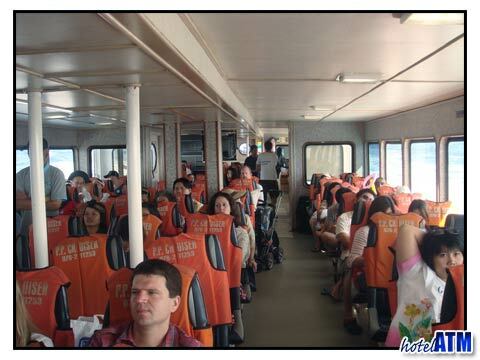 The ferry takes 90 minutes. As the owners of Jet Wave also own the Phi Phi Natural Resort, on busy days, the ferry goes directly to Laem Tong. After dropping off the customers, it carries onto Phi Phi Don main Pier. This can add another 20-30 minutes to the total time. Arriving at the pier can be a bit chaotic as local traders attempt to get onto the boat to retrieve their fresh produce for the restaurants. The hotel porters also get onto the boat to find their clients. With a little patience the ferry is offloaded. 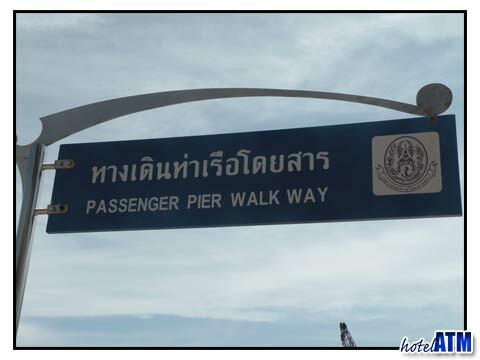 The return leg to Phuket is the next morning at 9 am from the main pier. It is a process of first come first serve so customers are advised to be there 10 minutes early in low season and up to 30 minutes early during the Xmas and New Year Break, Thai and Chinese New Years.